Southern Sprinkler Systems employs a fully staffed and equipped service department offering repairs and upgrades. Our service trucks have two technicians per vehicle and are stocked with all of the necessary parts, tools and equipment to service almost every type of lawn sprinkler system. 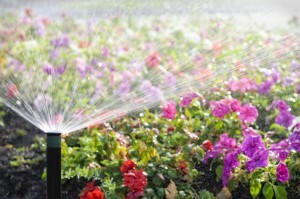 We are committed to meeting your irrigation needs with professionalism, safety, quality and integrity. Our highly skilled and reliable service technicians can troubleshoot, repair or upgrade any professional brand of irrigation product quickly and efficiently. They will arrive at your home or business in logoed trucks wearing a Southern Sprinkler Systems uniform and can answer any questions you may have. You can schedule a service call online or by phone at (678) 461-7922.